Good service, easy to order, item was shipped quickly and arrived in time for my sisters Bday. Thank you for a pleasant experience! I have bought a copy of this book for each of my children when they were small and now I am starting the tradition with my grandchildren. This book is awesome for both the child and the adult reader. It depicts the stages of life and the great amounts of love we have for our children and our parents at each stage, in a loving way. It's so incredibly simple, but so powerful as well. It brought tears to my eyes at age 6, and still at age 21...People always question does love exist? This is indisputably love. The love between a parent and child. 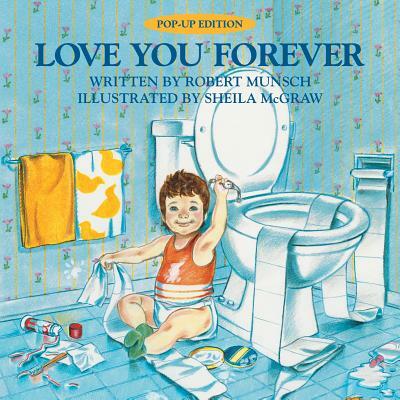 I know this had to have come from Heaven.I cry each time I read this book. It has so much love between parent and child. I read this book at our Mother/Daughter Banquet at church...everyone loved it.